Pendant "Talavera" square. 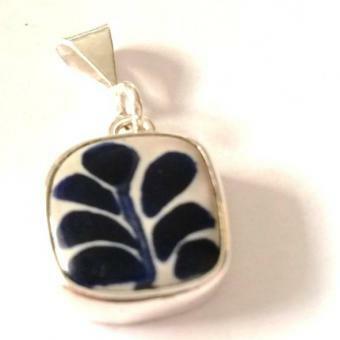 Handmade painted ceramic & Sterling silver 0.925, nickel free, Dimensions: Weight 2,05 g, Width 1,4 cm, Length 1,4 cm, Thickness 2 mm. Our "Talavera" set is made through combining two traditional craftsmanship from Mexico: the famous hand-painted Talavera pottery from Puebla and the silver craftsmanship from Taxco. The pattern always varies slightly. Through our Talavera jewelry, we have different combintions that can make the perfect set for a special ocassion. The name of the Taller "Faadri" (workshop) is reminiscent of Adrian's brother: Faadri stands for Fabian and Adrian. They both used to work at the jewelry business together with his parents "Sabino and Rosy", but a few years ago Fabian passed away and Adrian is now in "charge" of the family business. Adrian has moved with his young family from Taxco to Puebla and is just beginning to build up his own jewelry line and business. We were one of his first costumers, since he started his own " business" of creating jewelry and not only selling parts. He not only works with Talavera, but also, he creates beautiful jewelry pieces combining natural stones. On the other hand "Rosy and Sabino" are the ones in charge of selling us all the silver chains available at our pakilia´s accesories, guaranteeing to be free of nickel. a real exception within the industry. In pakilia our primary goal is to give fair value to the work of artisans. The passion and love that each piece has is invaluable, but without a doubt we seek that each one of these pieces reaches the right person, who will give, the value it piece deserves. 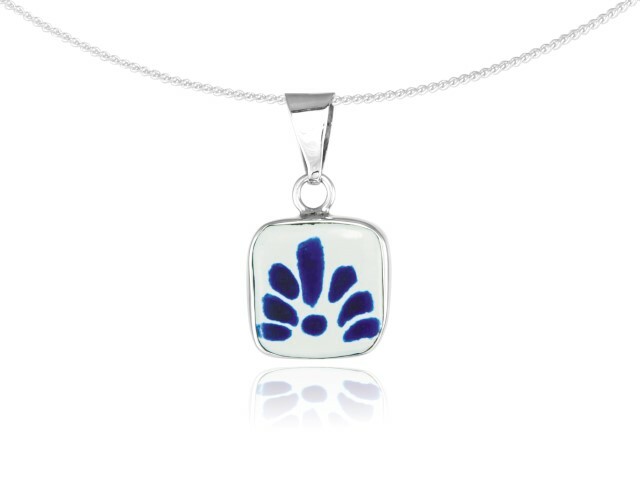 The jewelery is delivered by us in a beautiful pakilia jewelery case suitable for storing. The chain is not included in the price. As a service, we sell accessory chains of sterling silver or rubber in various lengths (see right below) for a special price in a set with our pakilia chain trailers.